Resource Scheduling/Booking is the next step a Project Manager should perform after Project Scheduling and Cost Management Planning. Project Manager schedules Personnel booking based on Project’s Requirements and Costs and Personnel’ availability and skills. Personnel participation in a Project implementation can be confirmed or rejected through Personnel Booking Approvals unit by Personnel’ Resource Manager regarding booked Personnel and Divisional Resource Managers regarding booked Job Titles. Resource Managers can see who’s available based on other bookings and capacity and decide upon these requests. Go to Application Menu Icon > Projects> Projects. Click on the Search Personnel tab. In the Search Personnel tab, you may search Personnel based on their name, skill, job title or other criteria combination. Search Personnel by Skills option is available through Personnel unit, too. Specify the Cost Min and Max of this Personnel or Job Title and also choose whether this Cost is indicated as External or Internal. Costs are associated with the Job Title’s Service. Click on the + icon to add in criteria a Desired Skill. A pop-up appears, where you can fill in the already added Skill, its minimum grade and any certification with its authority (if any). Click on Save to proceed. You can continue adding different Skills and combine them to find specific Human Resource to use. Results are displayed on the right side of the screen. Choose to see different the results in a different Order (by Name, Cost, Sales Rate), ascending or descending. In the results, you will see the Job Title(s) or Personnel that fulfills the selected criteria. Regarding both Personnel and Job Title, you can choose to Book a work for it, inside a Project’s Work-package. You can confirm this Personnel Job Title’s Service, select the existing Sales Rate for this Service, maybe adjust the final Rate, set the Currency and add a Memo. Select whether the hours added will prepare Tasks for the assignee or he will be responsible to split up the work in hours during the Work-Package range. Select how these hours will be populated (Use Capacity, Use Available time, Divide hours in days with capacity) or add hours manually and press Save. In the Booking details calendar, in blue are highlighted the public holidays and in orange the approved absences. You can confirm this Job Title’s Division, select the existing Sales Rate for this Service, maybe adjust the final Rate, set the Currency and add a Memo. Personnel Booking can be made also from Personnel Booking tab of the Project. When Personnel Booking Request is saved, a new System-Notification is sent to this Personnel’s Resource Manager (who sometimes can be also his Manager) regarding Personnel Bookings and the selected Division’s Resource Manager regarding Job Titles Bookings. Clicking on this Notification, Resource Managers and Managers will be navigated directly to Personnel Booking Approvals Unit. Click on the Personnel Booking tab. Personnel Booking for a specific Project can be performed directly from Search Personnel tab of the Project, too. Being inside the Personnel Booking tab, you may see here Personnel Booking requests that have been added either manually or through the “Search Personnel and Book it in Work Package” functionality. To add a new Personnel Booking Request based on the Personnel name, click on the + icon. Select how these hours will be populated (Use Capacity, Use Available time, Divide hours in days with capacity) or add hours manually. Click on Save to save the new Booking Request, on Save and New to save this and start creating another one. Choosing Save and Notify, Booking Request will be saved and you could send Note-Notification upon its creation not only to users, but also to external recipients via email. Alternatively, click Cancel to cancel the procedure. When Personnel Booking Request is saved, a new System-Notification is sent to this Personnel’s Resource Manager (who sometimes can be his Manager). Clicking on this Notification, Resource and Line Managers will be navigated directly to Personnel Booking Approvals Unit. To add a new Personnel Booking Request based on the Job Title name, click on the + icon. Select the Work-Package you wish to book this Personnel on. Click on Save to save the new Personnel Booking Request, on Save and New to save this and start creating another one. Choosing Save and Notify, Language will be saved and you could send Note-Notification upon its creation not only to users, but also to external recipients via email. Alternatively, click Cancel to cancel the procedure. When Job Title Booking Request is saved, a new System-Notification is sent to this Division’s Resource Manager. Clicking on this Notification, Resource Manager will be navigated directly to Personnel Booking Approvals Unit. To view a Personnel Booking Request, click on it from the list. You may even add a Note to be received by Resource Manager. To edit a Personnel Booking Request, click on it from the list and press pencil button. You may adjust the booked hours and Save again the Booking request. 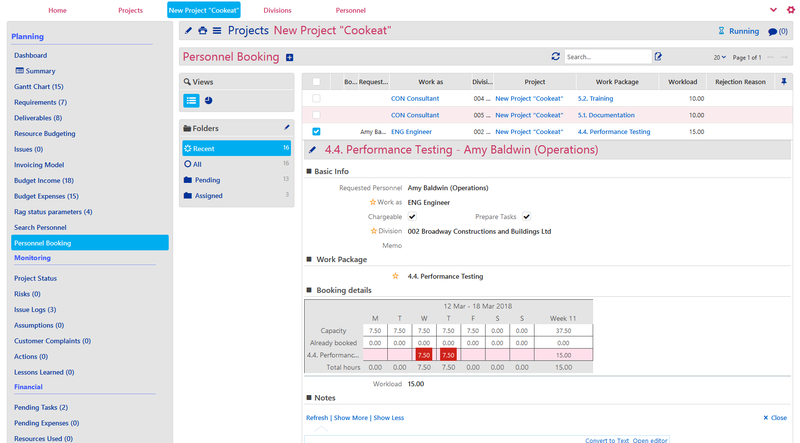 To delete or export already added Personnel Booking Requests, you may use the related tab inside the Project. Multi-check Resources (Personnel & Job Titles) Booking Requests and select Delete or Export. A confirmation message will appear. Already approved booking requests are displayed with a green check icon. Personnel Booking can be performed directly from Search Personnel and Personnel Booking in a Project tab of the Project, too. Being inside the Personnel Booking tab, you may see here Personnel Booking requests that have been added either manually or through the “Search Personnel and Book it in Work Package” functionality. Go to Application Menu Icon > Projects> Personnel Booking. 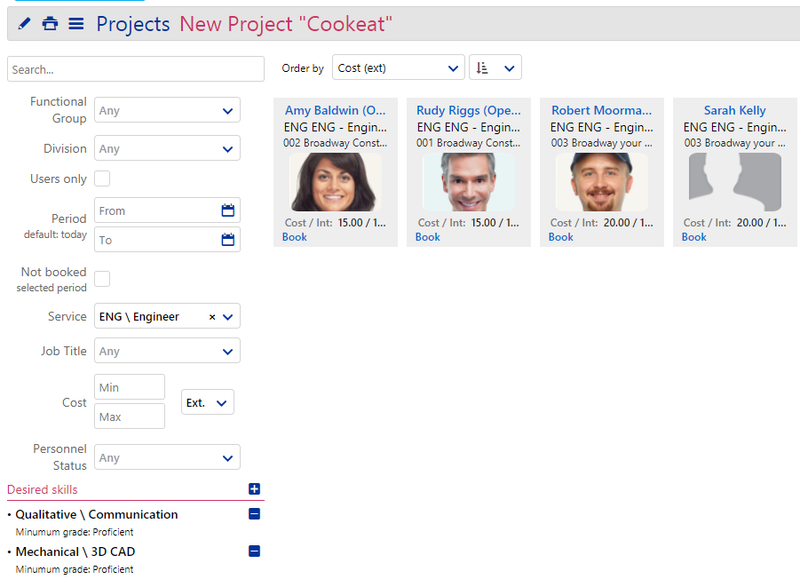 Select the Project you wish to Book Personnel on. Clicking on a Booking Request for a Job Title, you will be navigated to Project Booking approvals unit. To view a Personnel Booking Request, click on it from the list. To edit a Personnel Booking Request, click on it from the list and press pencil button. To add a Note below a Booking Request, write your message and press Comment. To edit a Personnel Booking Request, by pressing the pencil button. Adjust information needed and press Save. To delete a Request, click on the Actions button and then, press Delete. Click on Tags tab to add a new Tag on that Personnel Booking that it may be private, group, internal or public. From this point, you can also manage old tags that have been added on that Personnel Booking. Putting Tags in Personnel Bookings may help you in grouping them, filtering and finally find them easier. Click on Links tab to add a new Link between this Personnel Booking and any other Comidor entity e.g. a Project, an Event, a Job Title etc. To delete or export multiple Personnel Booking Requests, multi-check the (Personnel & Job Titles) Booking Requests and select Delete or Export, respectively. A confirmation message will appear. Personnel Booking approvals Unit is usually available only to Resource Managers of Personnel and Resource Managers stated as Division’s responsible. These have the right to decide upon the Personnel Booking. 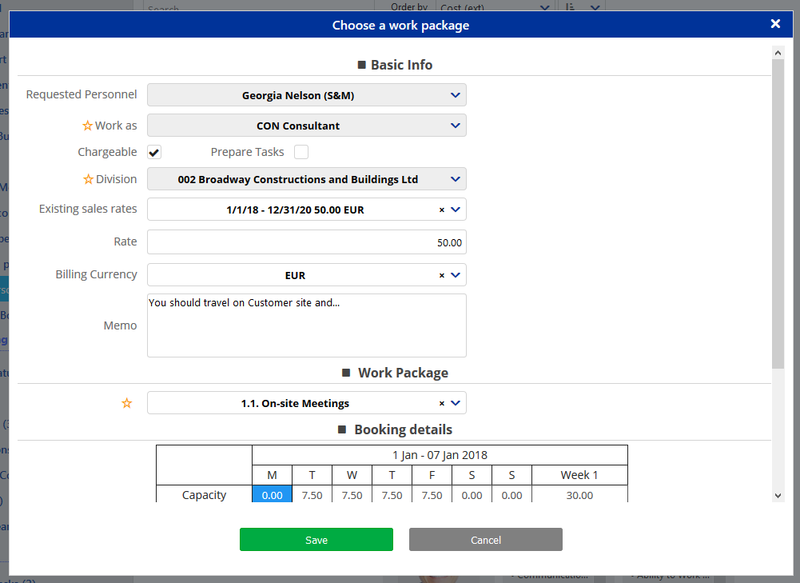 In case the Booking Request refers to a Job Title Booking, Resource Manager of the selected Division in the Booking Request procedure, will be notified accordingly and should decide on who to assign to the Work Package. In case the Booking Request refers to a Personnel Booking, Resource Manager of the selected Personnel, will be notified accordingly and should decide to accept, reject or assign alternative Personnel on that Work Package. If he decides to reject the Booking Request he should write a reason, that led him to this decision. 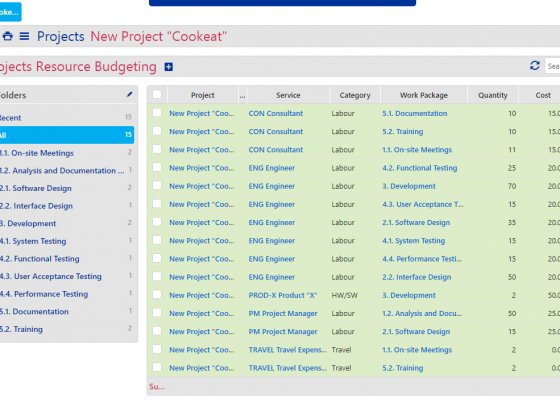 Go to Application Menu Icon > Projects> Approvals > Personnel Booking Approvals. Account: select the Account you wish, to see requests associated with this Account’s Projects (specific Customer’s Projects). Press Reload to see results below, or Clear to clear up the filters. Click on a Booking Request to view it. Highlighted in red are the suggested booking days and hours. You may view the Capacity of Personnel Schedule, whether he is booked in other Projects for a number of hours and finally the requested booking hours. You may contact Project Manager upon this Booking by adding a Note/Comment in the Notes box below. A Note-Notification will be sent. Approve: pressing this, you can approve a Personnel Booking Request. Automatically, a System-Notification will be sent to that Personnel and to the Project Manager, informing both of them that Personnel is available to be used inside that selected Work Package. Work Package has been assigned also to requested Personnel. Assign/Assign alternative: pressing this, you can select a Personnel for a Job Title Booking Request or assign alternative Personnel on a Personnel Booking Request. Automatically, a System-Notification will be sent to that Personnel and to the Project Manager, informing both of them that specific Personnel is available to be used inside that selected Work Package. Work Package has been assigned also to this Personnel. Reject: pressing this, you can reject a Job Title Booking Request or reject a Personnel Booking Request. A pop-up appears so as to add a Rejection Reason. 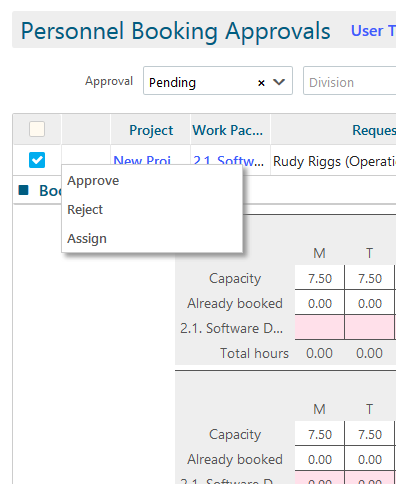 Automatically, a System-Notification will be sent to the Project Manager, informing him that specific Personnel is not available to be used inside that selected Work Package. 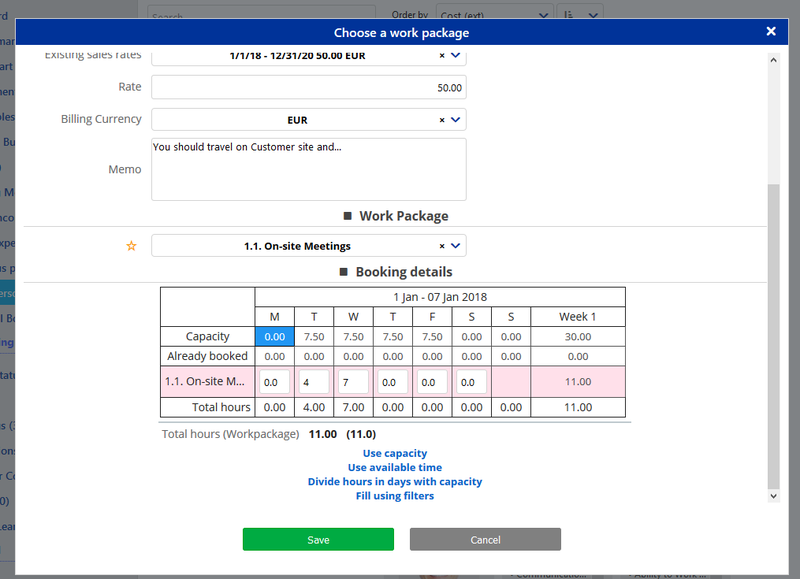 Being inside the Personnel Booking Approvals, you will see that you can access User Timecards (read below) , where you may identify the Personnel Utilization in Tasks and Processes (any type) and make a clear decision later on the Booking Request. Also there is a Resource Availability Report (read below) that can help on Booking Request decision. 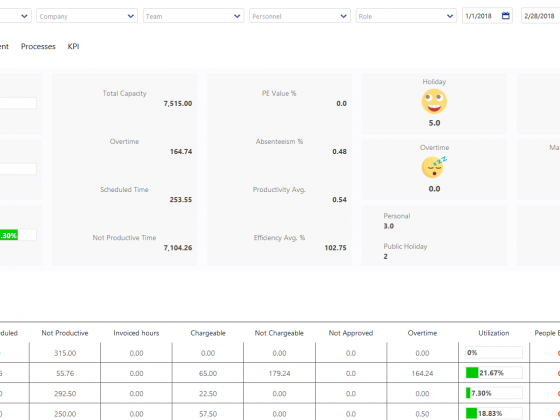 User Timecards Unit helps Line and Resource Manager(s) to be aware of their personnel workload in order to Approve or not Personnel booking requests. Especially for Team Leaders, there is an extra filter, which serves in viewing their Team’s utilization. Go to Application Menu Icon > Reports & Analytics > Timecards > User Load, or Application Menu Icon > Projects> Pending Booking Approvals > (click inside in) User Timecards. The left sum represents the scheduled (or booked) task duration, while the right sum represents the actual task duration value, which based on the Personnel’s Schedule changes colour. as Day % Utilization, Week % Utilization, Month % Utilization, measured by the Work that has been assigned to them daily, weekly and monthly respectively. Filters allow you to view only the workload you want based on Business Organization criteria (Functional Groups, Divisions, Offices), User Name, User Team (available only to Team leaders), Task Type or State. Hide empty rows check box allow you to view only the users which have tasks or see all the users. Exclude Myself checkbox can be used also. Switch to Scheduled vs Actual or keep the pre-selected Booked vs Actual in terms of Tasks. Clear button erases all the used filters, while Execute button displays the respective results. Anytime you wish, you can hide the filters clicking on the respective – icon to focus on the results displayed at the below Weekly Calendar. If you want to apply different filters, you can click on plus icon , change them and click execute. Resource Availability Report helps Line Manager(s)/Resource Manager(s) to be aware of their personnel workload in order to Approve or not Personnel booking requests. Go to Application Menu Icon > Projects> Pending Booking Approvals > (click inside in) Resource Availability Report, or Application Menu Icon > Reports & Analytics> Analytics > Resource Availability Analysis. It is also available through People Dashboard. Select the Mode you wish to check Available Hours (Daily, Weekly, Monthly), the Dates range, filter by Functional Group, Division, Service or Employee. Click on Fetch Report to get results. 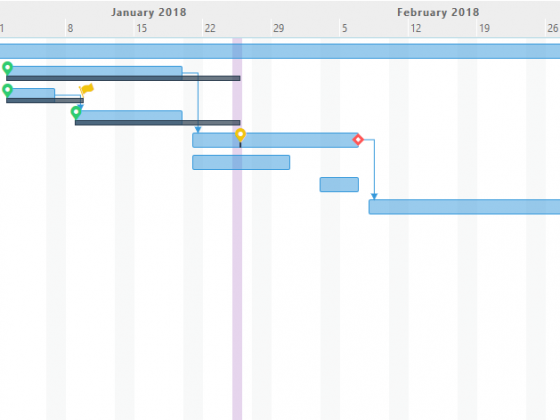 The already booked (scheduled) hours for that Date/Week/Month that have been assigned either from the Project Manager or added from the user himself. The available hours (capacity), inside the brackets (), for that Date/Week/Month, which takes into account the user’s Absences and Public Holidays. The totals of already booked and available hours per employee or per Date/Week/Month. In green, there are the date range, where booked hours are less than the capacity; in red, there are the date range, where booked hours are more than the capacity.